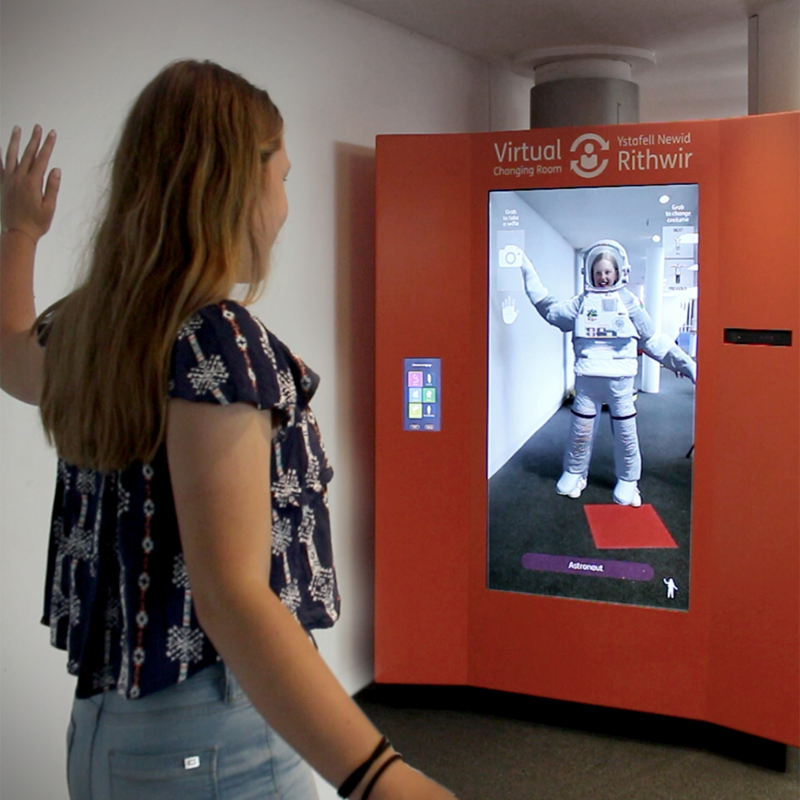 To create a virtual changing room to allow visitors to the Techniquest Science Discovery Centre to try on different outfits for STEM careers and seasonal costumes simply by standing in front of a virtual mirror. We created the changing room using live-tracking augmented reality and depth sensing cameras. With a simple hand gesture, visitors can browse through and ‘try on’ a costume from different categories ranging from STEM careers to Halloween monsters. The costumes scale to fit visitors of all shapes and sizes, from tiny tots to tall adults. A selfie feature was incorporated so that visitors could take pictures and email them to themselves. To facilitate this, we created a web manager system which collates the images daily and stores those that have given consent for sharing through the museum’s social media feeds, while deleting the others. We developed a content management system to allow Techniquest staff to update the costumes themselves and schedule when certain costumes are made available, for example, seasonal themes.